Model Number: 1/4" 1/2" 1 1/2"
A hex cap screw is a screw with a hex head, which is known to all as hex head bolt. It is designed to be driven by a hex wrench (spanner). An ASME B18.2.1 compliant cap screw has somewhat tighter tolerances than a hex bolt for the head height and the shank length. The nature of the tolerance difference allows an ASME B18.2.1 hex cap screw to always fit where a hex bolt is installed but a hex bolt could be slightly too large to be used where a hex cap screw is designed in. 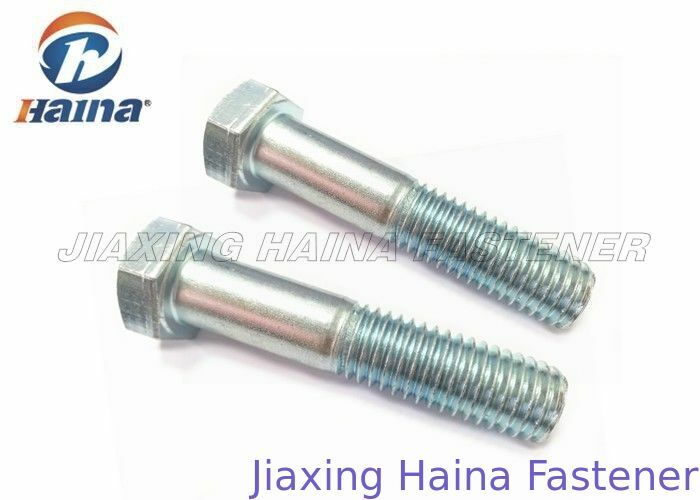 Hexagonal bolt head and the screw fastener means consisting of bolts Material iron bolts and stainless steel bolts, hex head bolts namely (threaded portion) -C grade and hex head bolt (full thread) -C grade, also known as hex head bolt (crude) gross hex head bolts, black iron screws. 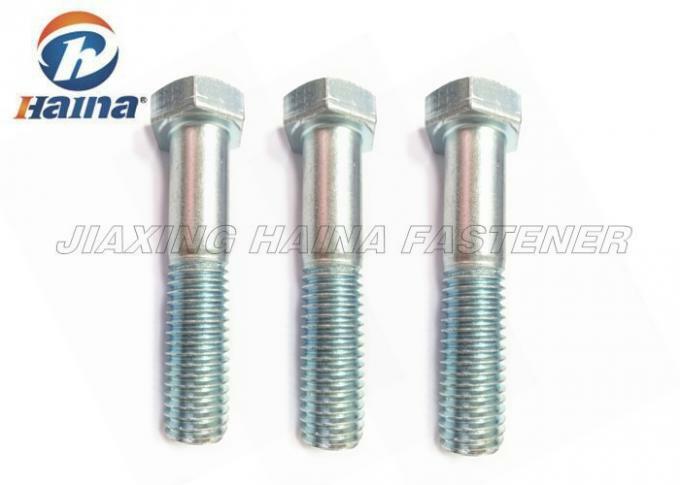 The hex bolt has other name, such as hex head bolt, machine bolt, hex head cap screw, and so on. The carbon steel hex bolt is in plain finish and an external hex drive, and meets ASME B18.2.1 specifications and standards. The zinc plated provides strength and has better corrosion resistance. This property is prominent, especially in marine and crule environments. The material may be slightly magnetic. The external hex drive has six flat sides that a wrench can grip to turn the screw from the side, enabling use when there is no space above the head for a driver. Hex Head Cap screws and hex bolts and machine bolts are threaded fasteners. They are in thick hex-shaped heads. This kind of heads can be used with threaded nuts or in areas with limited clearance above the tapped (threaded) hole. Hex head Cap screws have slightly different dimensions than hex bolts and have a washer face underneath their hex head to act as a large bearing surface against the mating material. External hex drive tightens from the side with a wrench, enabling use when there is no space above for a driver. Hexagonal bolts connect two parts. This connection type called bolt connection. As to unscrew the nuts from the bolts, so that the two parts can be separated, so bolting belongs detachable connection. The hex head bolts are be used in connecting. 1. Many sizes and material hex bolts are in stock.